Matt Ritchie scores with almost the last kick of the game to earn Newcastle a 2-2 draw against Bournemouth at the Vitality Stadium. 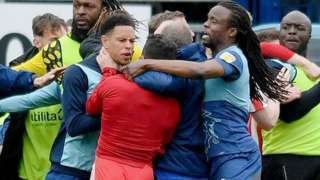 Wycombe and Sunderland are both fined by the Football Association following a touchline melee at Adams Park. 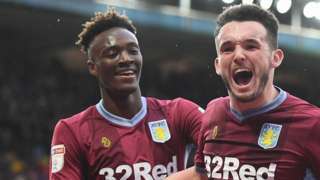 Our live updates have finished for the day and for the week. 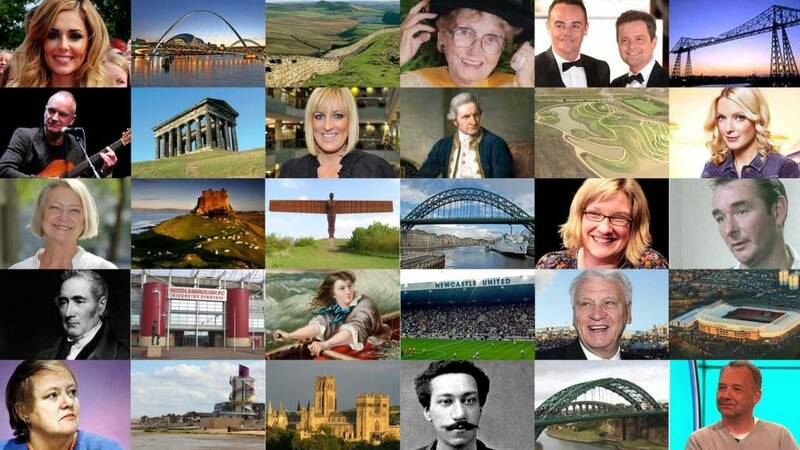 You can stay up to date over the weekend online, on BBC Newcastle, BBC Tees and Look North. You can contact us with news or photos on email, Facebook, or via Twitter. Clear spells before midnight with showers easing. It will then become cloudy with spells of rain pushing up from the south. The rain could be heavy and fall as snow on the hills. On Saturday it is expected to become windy with further rain, which could be heavy and persistent for a time. Further snow is expected to fall on the hills for a time. Cleveland Fire Brigade has been called in to help police searching for missing Middlesbrough grandmother Naheed Khan. An extensive search of a disused underground car park in Marton Road began earlier, with officers and firefighters forcing their way into a section of the structure. Detectives have released photographs of the search location, which is near to one of the last possible sightings of Mrs Khan, which was at the cash machine outside Adils Pizzeria - part of Whitfield Buildings - on 6 May. Temporary Det Ch Insp Mark Dimelow said: “This search location forms part of the investigation as Naheed was possibly last seen near here. "For operational reasons, we cannot go into specific details into the nature of the search. “We would like to thank Cleveland Fire Brigade for working with us and to those people who have come forward with information so far." 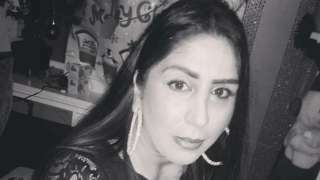 Last month, officers arrested a 39-year-old man in connection with the disappearance of Mrs Khan (pictured above) and he has been released while investigations continue. Mrs Khan has links in Stockton, Middlesbrough and Thornaby. School pupils in Newcastle joined thousands around the world in abandoning classrooms to protest against climate change. In the city centre the Monument was surrounded by hundreds of young people chanting “we want action now”. They said they do not want to strike, play truant or waste the time of their teachers but that they have to make a stand. The students came from a number of schools across the city with the one common purpose, demanding that the Government declare a “climate emergency” and allow young people to have their say on their environmental future. One student, Hannah (pictured below), was celebrating her 18th birthday. Among them were some young children, with their parents including eight-year-old Maisie and her Mum. Maisie said: “At school one of my friend’s Dads told us about climate change and I realised it was really bad. It worries me for the future”. A Home Office investigation is under way after a woman entered the UK through Newcastle International Airport's electronic gates using the wrong passport. A man arrested on suspicion of murder was released pending further inquiries. A167 Tyne And Wear southbound severe disruption, from A167 to A184. A167 Tyne And Wear - A167 in Newcastle Upon Tyne blocked and stationary traffic southbound from the A167(M) Swanhouse Roundabout junction to the A184 junction, because of a demonstration. A177 County Durham northbound severe accident, from B1274 Junction Road to Tesco. A177 County Durham - A177 Durham Road in Stockton-On-Tees closed and queuing traffic northbound from the B1274 Junction Road to the Tesco junction, because of an accident. A team of surgeons from Teesside who recently completed a week-long mission to help save lives in hospitals in Ghana have launched a fundraising campaign for a return visit. The team, from the James Cook University Hospital in Middlesbrough, gave up their holidays to work in a teaching hospital in Kumasi performing heart and lung surgery, and treating patients who needed urgent attention. They hope to go back in October. A schoolgirl was left in tears after a mother told her ‘I don’t want you bombing my house’ after she had waved at her young son. 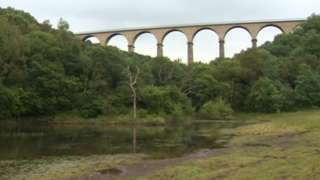 The viaduct was fitted with steel fences in 2012 following a spate of suicides. The new operator of Durham Tees Valley Airport says it believes the government is now taking a greater interest in regional airports and sees the benefits of making them successful. Stobart Group says it will take time to consider which new routes will work for business and tourists. The company says it wants to bring a dynamism to what will be renamed Teesside Airport - something it says believes been absent in recent years. Yesterday's announcement came two months after a £40m scheme to bring the airport back into public ownership was approved by the Tees Valley Combined Authority (TVCA). 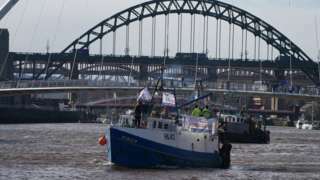 BBC Newcastle political reporter Fergus Hewison is following the Fishing for Leave protest which is seeing a number of boats make their way from North Shields to the Quayside. The fishermen say Parliament has not done enough to honour the 2016 referendum result to leave the EU. You can watch them on their early part of the journey in this video clip. Council bosses are preparing to take action over a parking problem which neighbouring residents claim is caused by their own staff. Charlie Hoult has been selected as the Conservative candidate for the North of Tyne Mayor election in May. Mr Hoult, who runs a fourth-generation family business and is a local digital industries campaigner, was selected by members of the Conservative Party in the North East last night. He said his campaign will focus on creating jobs, improving skills provision, driving up education standards and championing the region. 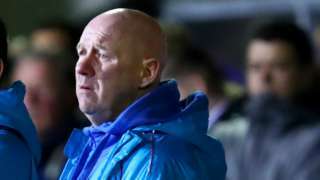 “The past casts a long shadow over the North East but I want to be the North of Tyne Mayor to inspire our region to think bigger and get in shape for the next Industrial Revolution,” he added. Jamie Driscoll is Labour's candidate, John Appleby is standing for the Lib Dems, and businessman John McCabe is standing as an independent. Elections take place on 2 May.